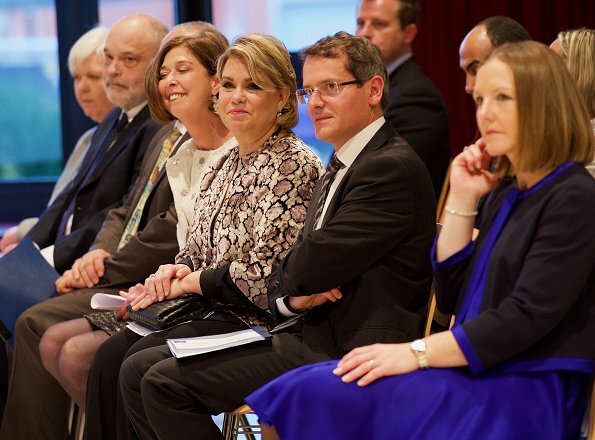 Grand Duchess Maria Teresa visited Red Cross Centre of Luxembourg (Croix-Rouge Luxembourgeoise) and attended the medal presentation ceremony held at Red Cross Headquarters. 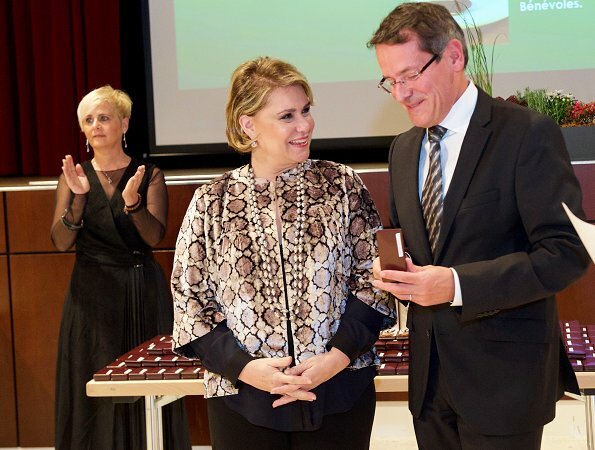 As President of the Luxembourg Red Cross, Grand Duchess Maria Teresa of Luxembourg presented medals of merit to nearly 400 blood donors. I do really like her new, softer look. 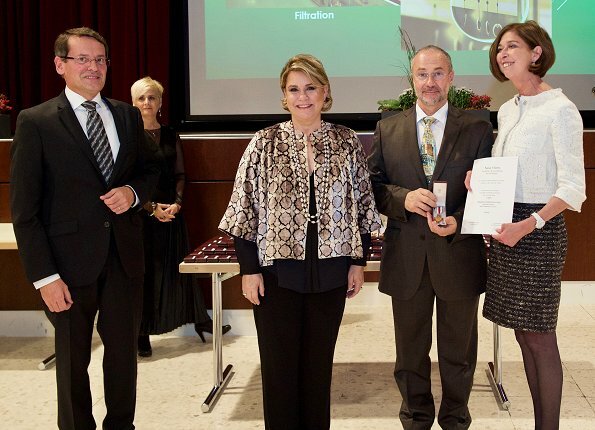 She has a very happy smile and knows proportion for her size. It gives inspiration to us women who have a similar build.